Sennheiser is a German audio electronics brand, and it’s actually one of the leading manufacturers on the market of high-end earphones and earbuds. The full name of this great brand is Sennheiser Electronic GmbH & Co. but most people call it shortly – Sennheiser. 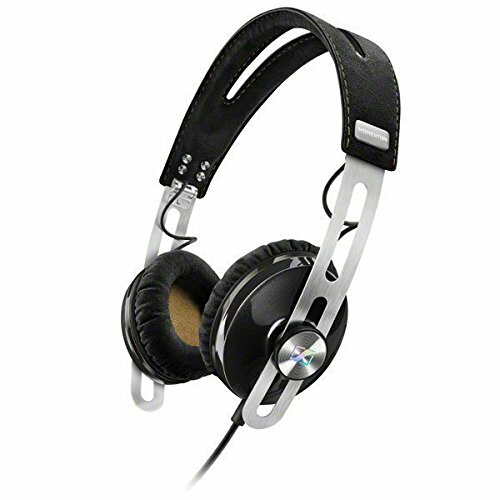 In this article, we will mainly review Sennheiser HD 1 Over-ear headphone. 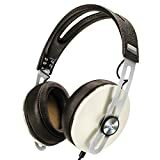 Sennheiser has been around for quite a long time – they were founded in 1945 in Wedemark, Germany by Fritz Sennheiser (hence the name), who named it Laboratorium Wennebostel (often referred to as “Lab W”, in short). This amazing brand received many awards for top-quality products, among which one of the most renowned ones is the “Academy Award”, given for their shotgun microphone MKH 816 in 1987 and Philo Farnsworth Award in the October 2013. Even though their operating headquarters are located in Wedemark, Germany (located near Hannover), they’ve branched out worldwide – they have a headquarters in the United States of America in the Old Lyme (Connecticut), Tullamore (Ireland), Albuquerque (New Mexico), and more. Their facilities can also be found throughout Denmark, Switzerland, San Francisco, and Germany. Sennheiser also manufactures microphones, wireless systems, and other electronic equipment. They’re offering a wide variety of recording microphones, broadcast microphones, presentation microphones, meeting and conference wireless systems, theaters, and more. Sennheiser’s HD 1 series is one of the best series of audio electronics they’re offering. It’s comprised of premium-quality products that are somewhat expensive, but valuable nonetheless. This series is best characterized as versatile, reliable, but also expensive. It’s safe to say that HD1 series is not affordable by everyone, so you might need to put some cash aside for a good Sennheiser. Various professionals, DJs, and gamers are regular customers of Sennheiser’s HD earphones and earbuds. Sennheiser’s HD 1 Over-Ear headphones are considered to be one of the best products they’ve made so far. They’re exceptionally beautiful, they’re top-notch when it comes to performance, and they come supplied with state-of-the-art features. Essentially, these headphones are made with great care, for people who want only the best. 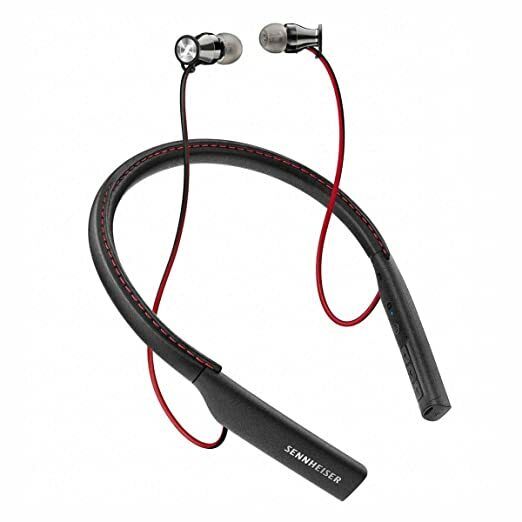 Sennheiser HD 1 Over-ear Headphone is available in Wireless and Wired connection variants, and the wired item has Android & iOS variants. Basically, they come supplied with the same set of features, with the only difference being the issue of connectivity and price. Plainly speaking, transducers are small transistors that convert the electrical energy into another form of energy (music, in this case). 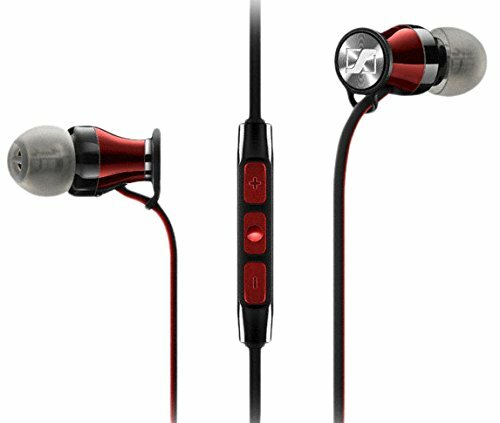 The 18-Omega transducers are the smallest feature of Sennheiser HD1 Over-Ear Headphone, but they just may be the most crucial one. They deliver the premium-quality sound through the cushioned diaphragms, and they enrich the wearer’s listening experience significantly. The Ear Cushions are the main reason why Sennheiser HD1 headphones feel so comfortable to wear. They reduce the outside noise, filling your ear drums with clear sound, a blasting bass, and detailed soundstage. The main difference between HD1 Over-Ear and HD1 On-Ear is in the size of the cushions. 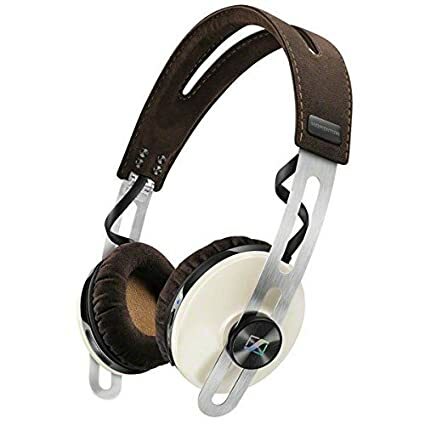 Over-Ear headphones feature a pair of large cushions while the On-Ear headphones come supplied with a set of medium-size cushions. The fine leather covering is incredibly soft on the skin, it’s extremely beautiful, and, most importantly, it’s very, very durable. With the “momentum” logo on the side (a sign of series and quality), it serves the purpose as the bridge between the ear cushions, providing additional comfort. The leather covering isn’t too large or too small – it’s perfect. Even though it’s not adjustable (since it’s made of leather), you can always use the steel sliders to finely adjust the fit. Stainless-steel is considered to be one of the most durable materials in the construction of headphones, and it was used in the manufacturing process of Sennheiser’s HD1 stainless-steel sliders. Not only are these sliders beautiful, they’re very durable and easily adjustable. Basically, these sliders are here so that you can properly adjust the fit of your headphones. They’re tightly connected to the leather covering. All in all, this model comes supplied with a modest quantity of premium-quality features. Each one serves a single (yet vital) role in the performance, so it’s safe to say that this headphone set deserves 5 out of 5 stars. As it’s common with closed back earphones, the closure in the design of Sennheiser HD1 headphones prevents the noise from leaking outside. This has a full-spectrum noise delivery as a result, which is one of the main reasons why these headphones sound so good. The Closed Back pattern is quite common, but it’s only efficient when installed by a pair of crafty hands. Since Sennheiser employs the use of highly professional workforce, it’s only normal that their headphones sound better when compared to others. The Around-Ear design greatly impacts the comfort rating a set of headphones can provide for you. Even though this is totally a matter of subjective preference, this type of design generally provides a lot of substantial benefits and advantages. For instance, Sennheiser HD1 headphones fit perfectly around the ears of the user. This results in a cozy feeling, but it also impacts the overall performance, since the majority of sound (music) remains inside. The only difference between these two color variants is in the color of the back of the headphones. Basically, all of the features are the same. Sennheiser HD1 headphones aren’t as fancy as some competitor models, but it’s safe to say that the design of this headphone set is functional, beautiful, and durable. This is a reason enough for 5 out of 5 stars. If you want a set of premium-quality headphones, Sennheiser HD1 Over-Ear Headphones is your best bet. The sound they provide is absolutely without equal, and there’s a perfect explanation “why”. They’re supplied with state-of-the-art technology and features, including Omega-18 Neodym transistors, magnificent connection, and various other hardware pieces. Now, Sennheiser HD1 Over-Ear Headphones performs magnificently in action, and we can see it through the amazing sound output, easy Bluetooth connectivity, terrific durability, and more. The Omega-18 Neodym transistors transmit the full-spectrum sound to the soft ear cushions. Every person who’s wearing these headphones will clearly notice the difference between a premium headphone set and a budget one. Now, laymen might not know the difference, but the hardware pieces that come supplied to a headphone set make up close to 90% of the sound output. Even though it may be hard to picture it without actually wearing these headphones, Sennheiser HD1 Over-Ear Headphones provide sound output without equal. They cost quite a lot, though. Sennheiser HD1 Over-Ear Headphones come supplied with the latest 4.0 Bluetooth connectivity. It’s one of the latest technologies in the branch as it’s incredibly easy to use, the connection allows nearly all cell phone models to connect to these headphones, and there are practically no limits to possibilities that these headphones offer. Pre mium-quality leather covering, stainless steel sliders, and more are responsible for the terrific durability of Sennheiser HD1 Over-Ear Headphones. They risk of malfunction is almost non-existent, and it’s safe to say that they’re one of the most durable headphones on the market. Sennheiser HD1 Over-Ear Headphones perform in a unique way. They provide full-spectrum sound, a magnificent soundstage, and deep, clear, bass. It’s safe to say that the noise will blow you away once you experience music through these sweet headphones. Sennheiser HD1 Over-Ear Wireless Headphones are absolutely terrific, but there’s a downfall. They’re also extremely expensive. Even though they belong to the expensive price point category, they’re well worth the price. You simply can’t compare Sennheiser HD1 Over-Ear Headphones to any other headphone piece, as they offer various benefits, they’re highly durable, and their performance is absolutely majestic. These headphones are professional headphones which are regularly used in gaming, DJ work, and such. Even though they are very durable, they are quite expensive, hence the 4 out of 5 stars. Check out our 10 Best Headphone Under $500 in 2017 buying guide. Sennheiser’s HD1 Over-Ear Headphones are truly amazing, but they’re far from perfect. There’s a full list of benefits you could take advantage of, but there are also a couple of drawbacks. The features that come supplied to these headphones are awesome. Great transistors, a beautiful leather covering, stainless-steel sliders, and state-of-the-art hardware. Five out of five, without a doubt. We’ve seen what Sennheiser HD 1 Wireless Over-ear headphone can do, and we’ve also seen what it lacks. The price is the only thing that might bug you out, so, if you have deep pockets, you shouldn’t think twice. The performance of these headphones is excellent, they’re highly durable, and they look absolutely stunning. If you want the best, there should be no compromise – Sennheiser HD1 Wireless Over-Ear Headphones are your best bet. But, If the high price of this headphone is the deal breaker for you, you have a solution! 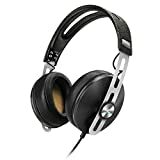 Exclude the Wireless functionality and get Sennheiser HD 1 Headphones for iOS or Sennheiser HD 1 Headphones for Androids. All the features, performance is same except these items are connected with 3.5mm jack. If, the price is still very high and you also want to have great quality headphones, read this 10 Headphones under $200 buying guide.